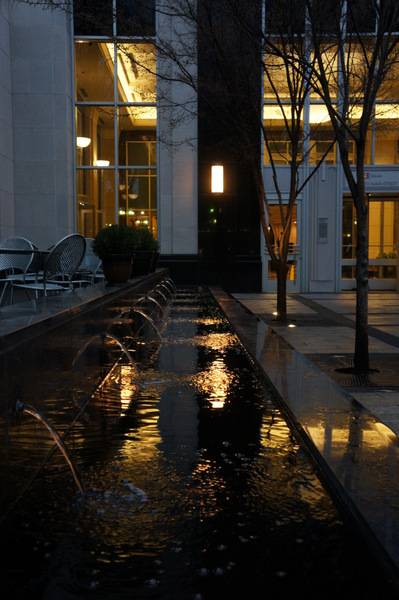 Fountains in the plaza in front of the Peace Center. 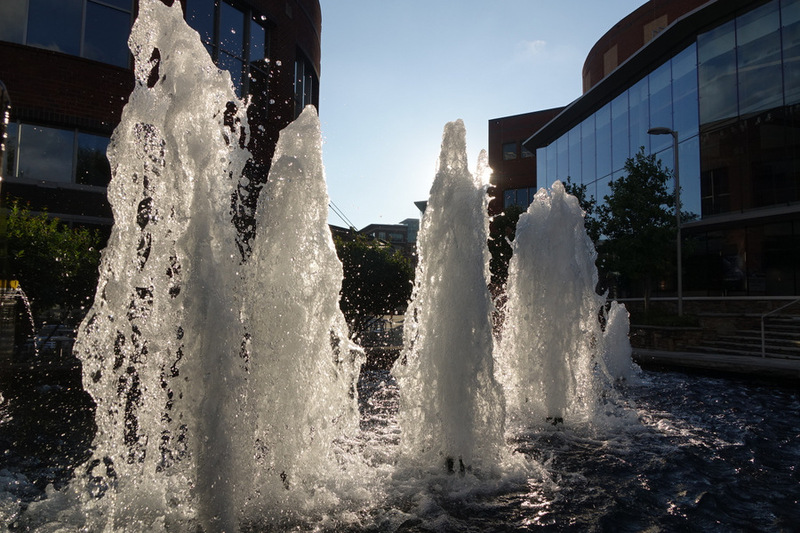 Sunset over the fountains in the Peace Center plaza. The water at the fountains at Tate Plaza above Falls Park have been tinted for Ovarian Cancer awareness month. 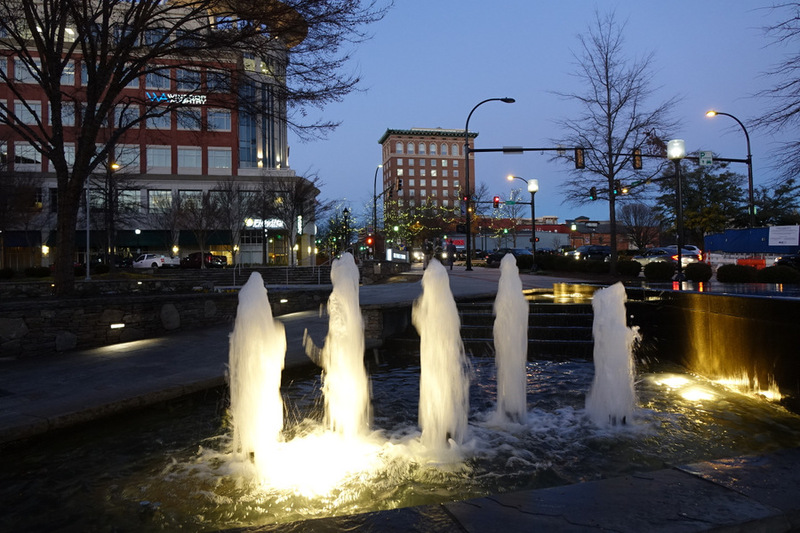 The fountains at the Peace Center plaza. 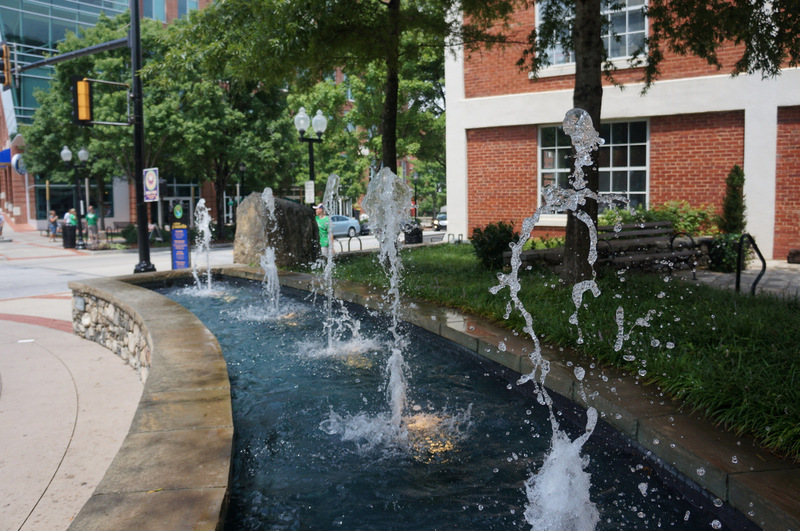 A view of some of the fountains in the Peace Center plaza. Early evening at the Peace Center plaza, with the sign announcing the coming of “Phantom of the Opera” in the background. 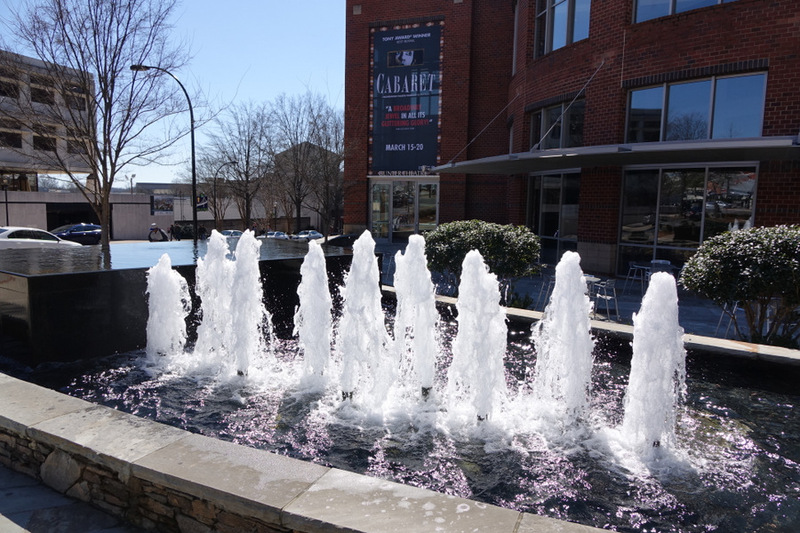 The fountains at Tate Plaza (the entrance to Falls Park) appear to dance in the sunlight. 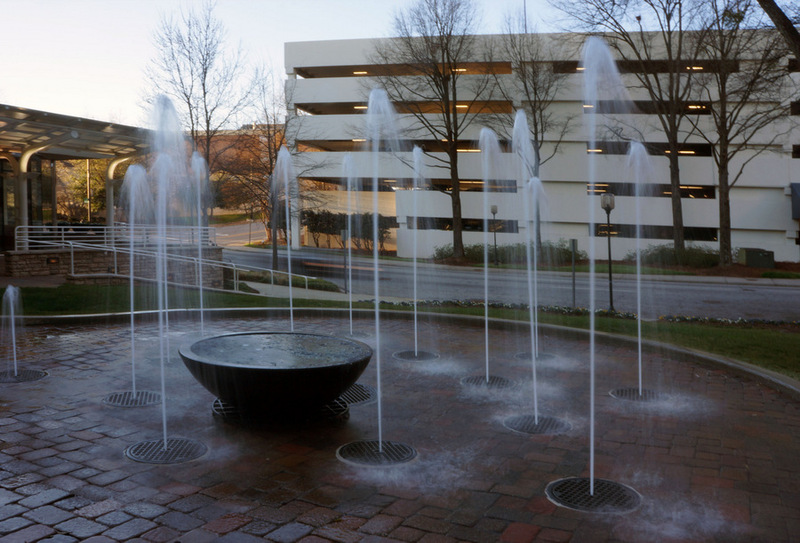 The fountains next to One Liberty Square facing Beattie Place Â and the Greenville Commons parking garage. These fountains in front of the Nose Dive restaurant seem to be flowing gold in the light. 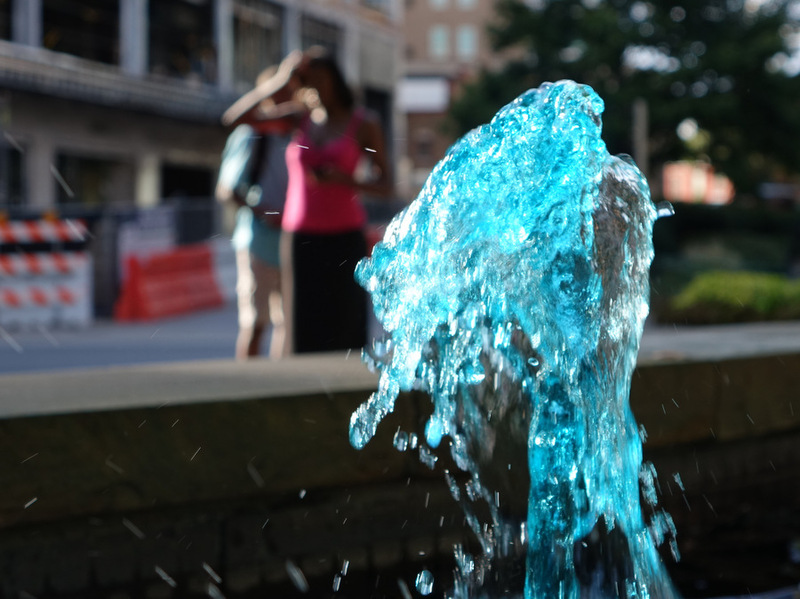 April isÂ Child Abuse Prevention Month in South Carolina, and these fountains at the entrance to Falls Park are colored blue to highlight awareness. Â Â Many locations around town also have blue pinwheels to draw attention to the campaign.